"Versatile Software for Every Use"
I love how easy Quickbooks is to customize and integrate with other softwares. As the defacto accounting software pretty much all apps integrate with it which makes the workflow so much easier. As basically the standard in Accounting I wish that when you were sent an invoice in QB from QB that you could automatically upload the information into the receiving company's file. (obviously then changing the chart of accounts) it would save so much time! The ability of Intuit to sync with third-party/proprietary software companies has proven more far-reaching over the years than other platform. It makes our ability to do business more efficient in all areas. There are occasional Payrol errors (PS304 and PS302) that require multiple steps to work-around when trying to install Payroll updates. The fix requires deleting certain payroll entries ("Online to be Sent") and re-entering, which affects past Payroll Taxes, Bank Reconciliations, etc., and therefore requires numerous corrections. So, that is an issue that needs to be addressed within Intuit, so that the work-around does not inhibit totally efficient bookkeeping. But other than that, I have had no issues, and all issues have been solved talking to Support in a timely fashion over the years. This is pretty basic, but make certain you have outlined your Chart of Accounts before setting up if you are incorporating Quickbooks with a third-party software for other services, so that Mapping accounts does not become an issue later on when syncing. Using Quickbooks solves many business issues, especially considering we also interface with a proprietary software for ordering/receiving/sales outside of Intuit. Intuit has made it very user-friendly to sync and solve many issues related to the outside software as well. When you can identify these issues easily, it makes the proficiency of daily Accounting much more doable. It is an all in one, ready to control your entire business, software. You can do everything from the software fast and accurately. There is every report you could possibly think of. There are many extensions that you can connect to QuickBooks to communicate to your other software. It's the best. As much as I love all of the stuff that it can do, it is a lot of stuff to learn and go through. There are too many things to control if you are only using QuickBooks for one or two things. They should have a lite version or specific versions for the one thing you need it to do. bUy it. If you have a small business or need to keep track of payments and receipts buy it. It is amazing. We do invoices mainly from QuickBooks. We have all of our customer accounts and vendors set-up. I can look-up anything quickly and have what I am needing within seconds. "A great accounting Software for small businesses"
Its a double entry accounting software that bundles up strong reporting and features to help small businesses to easily track daily activities in more effective manner to rapidly changing technologies.Good team of developers who are constantly working to adapt and being innovative to changing demand of time. - Clean look, easy to see all a graphic look of your business in a quick easy way. - See your sales, costs, expenses, accounts receivable, accounts payable figures in one place. Feature wise its a really good accounting software, i wish it has more tools regarding customer scheduling with employees for a spa environment. If you are looking for a reliable software that can help you keep track of your business finances from every aspect, this is a must software, easy to use. Keeping track of business finances and reporting on regular basis. "Quickbooks Desktop Pro is a powerful accounting solution." I have been a Quickbooks Pro Desktop user for over ten years. I have multiple accounts simultaneously in use. My favorite feature of Quickbooks Desktop Pro is the fact that every single transaction is easily recalled. If I need to look up an invoice I paid back in 2006, it is found without a problem. Annual, quarterly, or monthly reports are easy to generate and easy to customize. I am very comfortable with the interface and it has been fairly reliable. Quickbooks Desktop Pro does require you to periodically upgrade to a newer version in order to have access to all of the features. Additionally, the pricing of their payroll services has consistently increased significantly each year, without any additional appreciable benefit. I have only recently started using the budgeting feature to its full ability. What an awesome tool! It really beats inputting numbers repeatedly into a spread sheet and updating manually. Quickbooks Desktop Pro also has numerous information storage options to help maintain records on individual customers or vendors. It would be possible to keep all company information in this one database. "Thorough, easy to use, but somewhat antiquated"
If you're an accountant, the software is easy to learn and use. I like that data entry is very straight forward, the no nonsense interface and how easy it is to navigate through the comprehensive menu. Downloading and drilldown capabilities are also very powerful. - Visualization of data... is a joke. The graphs are not only monochromatic, they're not dynamic and don't even load as fast as other reports do. Horrible for presenting data to executives. - Although the audit trail is great, you can still go in and edit previous journal entries. Not as robust control as bigger enterprise-level ERP's. If you have a small accountant team, QB desktop would be great. If you have a large accountant team, QB desktop is probably too small. If you don't have an accounting team and it's just someone doing the bookkeeping, I would recommend a could-based solution because it'll be easier to use and cost way less. Bookkeeping, accounting, and the reporting of business performance. The ease of use. Using this program has helped to organize the office. Maneuvering around this software is pretty quick to learn. I was even able to learn the software fairly quick. Quick books is by far one of the simplest programs to learn. Also every thing can be fixed, no worries if you make any kind of a mistake! Just go back into the area you goofed up and correct the mistake made, then save it and move on. Nice huh? The name Quick Books is suitable for the software. I would recommend it to anyone for their business accounting software! Affordable and easy to use. Why would you want to use any other accounting software. There really is not much abut the program to dislike, because finding what you need is very user friendly. I would recommend it to any business that needs a quick solution for their office. Even the manual that came with the software is understandable for the average person. I simply enter the bills and invoice our customers, the rest takes care of itself. I can then run any report the boss asks for in moments. Saves me time. Plus each report offers a customization box that is self explanatory! Making it very nice to run the report for the right product and with the correct dates all at the click of a mouse. "A great product (for the most part)"
It is fairly easy software to navigate through, being mostly intuitive. As a small business owner, I like to learn and understand everything pertinent to the task I am completing. There have been days, albeit a few, where I feel like I need an Accounting degree. A time saver all-in-one product. Don't be shy about taking an intro class at a local community college or an online class. At first, depending on how many tasks you expect QB to be the default program, it can be a very intimidating product. I would also suggest taking a business class and an accounting class. Just in this survey, alone, I had to google a business term "Estimate your company's ROI on this product (payback period in months)" AND that was the help buttons explanation! Small Businesses like mine don't have the resources to understand corporate speak. "Accounting that almost anyone can use"
I like that if you enter a invoice/payment/service charge you can reverse it with one click. I've entered payments in quick books and realized I can't pay it now, you click delete payment and it's solved. I also love that you can get a snap shot of your expenses and outstanding amount due with a click of the mouse. Very user friendly and easy. Some of the forms are hard to read, It would be easier if the columns were a different color. I think the check journal needs some changing. Quick books pro is easy to navigate. Set up is simple. Quickbooks is a lifesaver for my small business. I design layouts, order/sell product, do advertising & bookwork all on my own, and quickbooks desktop makes it easy to keep track of customers & accounting information for tax time. I wish quickbooks desktop had a solution kind of like quickbooks online, like a cloud where I could access my files from my laptop at work & then go home and use it on my home computer. I have tried QBO and I like the desktop program much better. I also wish there was a way of easily creating contracts similar to how you create estimates and invoices. I would recommend finding a local class to learn the program if you are having trouble, it is really a useful and easy program once you learn it. Previously I was using spreadsheets to create invoices and then saving them to google drive, and often losing them, now I use quickbooks invoices which make them easy to retrieve. "QuickBooks Pro is the only way to go"
Being an Office Manager, I use all aspects of QuickBooks Pro. I use the reports, I use inventory lists to create my invoices. QuickBooks is easy to use even for the most basic functions. I dislike that unless you are an Enterprise user, you cannot track your inventory in individual units. Always purchase the Support subscription. There are times when I don't know how to use one of the new features and I can call them and they go over it with me for as long as I need until I completely understand what the new feature is about. Inventory Control. We use our lists and when we invoice to track the quantities on hand. This helps us by seeing what we have on hand so we don't go and spend money that we can use elsewhere. It really helps with our cash flow. Putting in our financial information is extremely simple using QuickBooks. I use this software to input checks send out by our nonprofit as well as to enter deposits that we deposit into the bank. The process is extremely easy. I could not as for a more simple and easy way to put in our financial data. I have not really had any serious issues with QuickBooks. The only thing that I can think of is that it constantly asks you to back up your information, which can be annoying, but I would rather back up the data than have everything get lost. I would definitely recommend other using QuickBooks to keep track of financial information and data. We use QuickBooks to keep track of all financial data and information for our nonprofit. "Great user-friendly option with advanced settings!" We love using QB for our business. It's interface is user friendly enough that someone with little experience can navigate it easily, but it contains components complex enough for those requiring detailed reporting and analytics to easily get the information they need fast. I wish there was a way to more easily go from report to report as well as comparing certain reports; this is easily solved if you have a huge desktop but if you are working on a smaller screen it may be a little annoying to go back and forth. Do your research & make sure you are confident that this is the right solution for your business. There are a lot of great products on the market but we found that this was the best solution for our business based on the cost as well as performance. We felt confident going into our decision. We also recommend making sure adequate training is provided so that the transition & start up of the software goes smoothly. While it is a really easy software to use, there are a few quirks so it's best to make sure those who will be using it regularly take the time to familiarize themselves with the software before diving in and beginning. All of our accounting problems are solved via this software. We now have easily been able to do payroll, all AR/AP & reporting that the company needs. "Quickbooks in the work place "
I love how organized quickbooks is. I manage a retail interior design showroom and we constantly have new sales quotes we are sending out or payments that we need to record and quickbooks helps us keep this organized. I don't like the login in process to quickbooks. I already have my email and password saved but have to go to another screen to fully login in. I wish there was just one login screen that guys you into your account so it was a little faster of a process. With quickbooks we are able to keep track of our everyday orders and clients. I love how each client is organized in their own folder with all of their previous orders for our records. Quickbooks has made it easy for us to look up current and previous client orders/purchases. I feel like our overall sales have gone up a lot since we have been using quickbooks. "Real, customizable accounting software that's worth the trouble to host on an application server"
The user interface flexible and customizable--features are available to please the most visual users, but they can easily be closed to suit those of us who are distracted by flashy GUIs and just want to interact with the database. Menus and features are not weighted by what Intuit thinks the user will want to see, as they are in QBO. This means that it is easier in QB Desktop to find the functionality that you need. It also makes QB Desktop a better tool for beginners, and for teaching beginners. 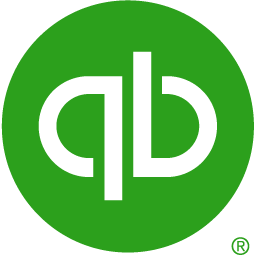 The Accountant Tools (especially bulk editing of transactions) are great, and more fully featured than they are in QBO. There are a few tweaks that I would make, but I really appreciate QB Desktop's Accountant Tools. QB Desktop makes it generally easy to tag data on multiple dimensions, which makes it flexible--suitable for accounting and reporting needs from very simple to quite complicated. The program is rarely slow to respond or laggy. Multiuser access is costly. Online access requires hosting on an application server, which can be expensive; it can also be complicated, which is a turn-off to unsupported/casual users. The bank-transaction import/matching feature is a little lacking; it doesn't learn rules quickly and isn't very flexible. If you're quick at data entry and/or your data tagging needs are complicated, you may just decide never to use it. Repairing bank reconciliations that have been thrown off by changes or deletions is more difficult than it is in QBO. Would love to see the QBO feature that shows you what went wrong and offers you a way to fix it without undoing and redoing everything implemented here. The audit trail is a little less functional in QB Desktop than it is in QBO. Lacks a real inventory (costing) system, though third-party solutions are available. Lacks the ability to store percentages by which costs need to be allocated; this means that you're better off doing complicated allocation data entry outside the program and then importing it; it also hobbles the program for allocated budgeting and forecasting. Lacks safeguards against importing the same data multiple times. From a database perspective, the Name field is poorly defined, which can be a problem if you need to report on multiple dimensions (I've run into this problem particularly with non-profits that need very detailed reporting). When QB Desktop crashes, it crashes hard, but support is generally very good. QB Desktop suits a wide range of bookkeeping needs, from simple to relatively complicated, and it is very flexible and customizable. It also allows you to implement DIY solutions, especially to data tagging, manipulation, and import needs, without the need to rely on (and pay) third-party vendors. If you have little to no bookkeeping knowledge, or are training/working with someone who lacks that knowledge, I far prefer QB Desktop to QBO. QB Desktop is worth the trouble and cost of licensing multiple users and using an application server for online access. QB Desktop is an all-around solid piece of accounting software. I love that it us user friendly. I was taking accounting courses as I began learning the software and it really helped me to know the ins and outs of bookkeeping. It does everything we need. The only thing I dislike is every time I update Quickbooks it messes the connection to our time keeping software. However, the issue might just be with the time keeping software. Sometimes, when I send paystubs it glitches and sends the wrong paystubs out, I am not sure if this is a problem with our email exchange however. I would highly recommend QuickBooks Desktop Pro to anyone in need of accounting software, because QuickBooks has been around for so long and it's updated so frequently, I am not sure if there is any software that has its capabilities. I have contacted QuickBooks for help a few times and they are always quick and efficient to fix my problems. If I ever run my own company, which I hope I do, I will purchase Quickbooks in a heartbeat. We use Quickbooks for everything: payroll, benefits tracking, expenses, AR, AP, and all of our reporting. Expense tracking! It helps keep track of those small expenses that really add up. That, in turn, helps us make decisions for the best use of our capital. It makes answering questions about our financial situation so much easier to do with absolute comfort - I know that the answers I am providing are correct and will assist in making purchasing decisions. The reports also are essential in attaining financing from outside sources, and they compile themselves! There is really nothing to dislike QBP!! It's a great way to avoid hiring an accountant if you have even the most limited grasp of computes and the program. I would recommend buying this program to anyone looking to easily keep track of their business financials - it would be helpful to anyone who needs to know where their money is going. Expense tracking, balance sheets, profit & loss statements - everything that we need to properly keep track of our business - not just the human aspects of running a bar, but the nuts & bolts behind it. "Accounting necessity meets user friendly interface!" Everything is laid out fairly easily to navigate to. The "home" screen has all the basics you'll need. For the more involved options, you can browse through the menus up top. Multiple users can be in using the system at the same time without worry that something will be overwritten. How long it takes to load everything initially and how much resources it takes to process the overall program. Also hate that after you save and close the program, there are still instances of the program in the background running and taking up resources. Have the file based on a server rather than a local computer to quickly access the file. Beware of network complications. Accounting needs from AP/AR to banking and reports. "Worst customer support ever "
"Quickbooks works for everything from Accounting to CRM"
I like that I can use it for multiple sub-companies within one company. I have one overall company, but several other companies within that company and they can all be run and tracked individually within my one company and merged for the overall results. I dislike the pricing for upgrades. Some upgrades are so minimal, but it is like paying for the whole software program again. Once set up properly, it is easy to use. It helps if you know accounting principles, but the support is great. I used to use Business Contact Manager in Outlook for my CRM with clients. Quickbooks Pro lets me accomplish all that I accomplished with that, plus do all of my Accounting in one program. "It Has a Mind of Its Own"
It has a beautiful interface and very nicely connects with your accounts. MOBILE APP: I get an error every time I try to upload a picture of a receipt using the mobile app. This is why I dinged "reliability." RESOLUTION: With the PayPal issue, Quickbooks required that I unlink PayPal and connect it a certain way. This deleted all of my work with my previous transactions, such as categorizing and uploading receipts. NOT FOR BEGINNERS: As someone who catches on quickly, QuickBooks was NOT intuitive (unlike the new software I'm switching to). Even after figuring out my PayPal issue, QB seems like too much of a pain to continue with. Use their search function to figure things out. You'll quickly find that support doesn't offer real solutions to anything. Basic accounting for my small business. Organizing and record keeping to make tax season easy. Keeping electronic receipts organized and connected to transactions. "Used 50% of Quickbooks for 11 years"
I am happy with the stability of the product. I run two insurance agency offices. So there is a lot of QuickBooks that I do not use. I don't bill customers or deal with receivables in the program. I don't keep an inventory or use credit cards through the QuickBooks. Payroll cost for what they do is high, in my opinion. I pay $465 annually, plus $7 per payroll check. I pay twice a month, That's $675 a year and all they really do is tweak the software. I'm still responsible for running the forms, error checking, submitting them and then paying any payroll taxes. For a light use business like an insurance agency, it's probably more software than you need. I could certainly get away with using a lighter type of program. But it is nice to have the flexibility of a comprehensive tool. "Great for managing estimate and invoice and clients "
All of our clients are saved on this platform; being to easily build estimates that are simple to read by our clients is excellent. Also, the fact that we can use the mobile app to access the clients' database is also significant. I dislike the fact that you can't add an auto message to display when sending out estimates to clients, also a way to integrate appointments and clients added on google calendar would also have been a help. The desktop app tends to freeze up on both Mac and Windows. Keeping all our clients organized by the work we have done for them, being able to always see open invoice and send reminders for payment. "Accountant Using QuickBooks Desktop for Hosted Businesses"
I do not like the certificates that open up with every use. I have to click through those and they just become a hassle. Otherwise, there is nothing wrong with this software at all. The comprehensive desktop solution to your accounting problems. There are numerous benefits to using desktop versus online. The main factor being the depth of use. Accountants will always feel more comfortable in desktop even though Online has taken off as of late. We have been able to assist small businesses in securing profitability through the years with all of the information that QuickBooks supplies regarding the entries and financial data we have input. QuickBooks has such huge numbers of approaches to customize your pay and costs, and afterward you can run reports for everything possible! For whatever length of time that you've entered the information, QuickBooks will effectively connect the numbers and present you with a quality report that you can print or email. It just takes a couple of brief minutes. Quickbooks tech help is exceptional! They likewise shown me how to utilize accommodating highlights that I didn't know were accessible. It makes our capacity to work together increasingly proficient in all zones. I have not so much had any significant issues with QuickBooks. The main thing that I can consider is that it always requests that you back up your data, which can be irritating, however I would prefer to back up the information than have everything get lost. It's an incredible programming that would that be able to give both bookkeeping and money related organization answers for private ventures that can enable a business to build effectiveness and gainfulness. We use QuickBooks to monitor every single monetary datum and data for our not-for-profit. Snappy books enables the business to abstain from getting into budgetary inconveniences. Utilizing brisk books I am ready to accommodate accounts month to month, set up an announcement of income, asset report and a benefit and misfortune articulation, so am ready to make important modifications and make obligation asserts in time before the business gets broke. Quickbooks is significant for me as I have to remain in control consistently. The capacity to see things continuous enables me to deal with our accounts much better and particularly in our income the board. Without it, I'd do everything by hand and couldn't play out my obligations as viably. There are quite a number of outstanding features in Quick books, but the ones that appeal to me most are memorized statements, expense tracking , simple navigation, professional looking invoices and forms, excel data export, company snapshot, actionable insights, track inventory, set reorder level and create purchase orders features. It's also pretty easy to use and has an affordable price. Quick-books, some drawbacks including limit in the number of users especially when there's many transaction and one needs extra users to help record them, the system also crashes at times although its not that often, the software also lacks professional support posing a challenge to entry level users. the software also lacks an editing feature in some sections thus one has to delete and reenter a transaction. It's a great software that can that provide both accounting and financial administration solutions to small businesses that can help a business increase efficcieny and profitability. Quick books helps the business avoid getting into financial troubles. Using quick-books i am able to reconcile accounts monthly, prepare a statement of cash flow, balance sheet and a profit and loss statement, so am able to make necessary adjustments and make debt claims in time before the business gets broke. "BEST VERSION DESKTOP PRO "
Quickbooks desktop pro allows for ease of accounting work. One is able to find all the important accounts required in order to complete a transaction, examples includes bills to pay, invoices to be paid for, cash infow and outflow in the business ,plus other relevant aspects such as payroll. The software also enables one to know where the business stands by use of income statements and to also know the wealth of the business by use of statement of financial position. Quickbooks desktop pro may lack many users and hence a limiting factor in the progress of the business, this is because some clients may not be advanced and may be using different software, whereas others use traditional methods of accounting and hence yielding almost same results but different methods. the results may also differ due to different methodologies. Quickbooks desktop pro has helped in solving reporting problems, when entries are done correctly and with minimal errors, quality reports are produced automatically, and hence resulting into improvement and growth of business. It has also helped in tracking bills and ensuring they are paid on time. "User Friendly, Flexible, Full Accounting Capabilities, Well-Integrated with 3rd Party Software"
QB is the easiest accounting software I have ever used. It has good report feature capability, and allows me to tally information and create custom reports easily. It is flexible when I need to make corrections (unlike most other accounting programs that I've used). It has several automatic features that save a lot of time such as bill pay that integrates with your bank, and direct deposit for doing payroll. It also integrates well with 3rd party software. The search features are somewhat limited. For example, if I have a generic customer called "Online Sales" but I put specific customer info in the "Bill To" field on each separate invoice, I would like to be able to search on the "Bill To" field and find that customer. Currently, it is not possible. Also, it would be nice if address info for customers and vendors could be separated out by fields so that it would be easier to search and sort by location, etc. We use QB as our main accounting software. We use it for A/R, A/P and payroll. It saves us lots of time, and allows us to do business analysis. QB also makes it easy to coordinate with our CPA come tax time. My favorite part of the QuickBooks program is that it is not an "all or nothing" solution. We use this for sending out invoices and tracking payments but not for payroll and expenses, and it easily allows for this partial use. We don't have to use every feature it has, and it doesn't constantly request that we expand into other feature uses. I also like that it does not require advanced computer knowledge to run this program -- I am able to teach new people in the office the basics of using the program without any problem! I have had some problems with the stability of the program, and I wish there were an easier or more streamlined way to create and save backup files. When the program automatically backs up it does have a tendency to freeze, and we have had to reinstall the program a few times. It is also difficult to get through to customer service -- there are a lot of departments, and it is not always clear which one to seek out. I would look carefully at which version you need. This one has a lot of features, and may not be necessary for everyone. I implemented this software when I started my position with the company. It has greatly increased the organization of our billing and allows us to pull up account information quickly and accurately. Because of this program, we also switched to the Intuit mobile card payments, and that has made a huge difference in our ability to accurately and efficiently apply payments to their respective accounts. "A game changer for small scale businesses "
Quickbook is has proved itself a great tool. It has many good features and i like all aboit them. First of all, its cloud accounting tool is amazing, i can just viev all my workloads even from home that helps me to clear some of it whenever i am free after office. Another best feature about it is custom invoices, that helps me to create some custom invoice and send them to specific customers whenever needed which include more types of templates to make the customers look attractive. Then another thing is it can download all the transactions report automatically once permitted and do categorise them in a flexible manner which reduces our time to categorise the different transaction. And the most important thing is one should not be a trained person or experienced person to use this software, its simple use and interface makes it more special. I am just a fan of this software and i am not having even a single problem witb this softwares. Quickbook has been a vame changer for pur company as i have mentioned in my review title. It helps us in many purposes such as sending custom invoices to customers, download all transactions reports automatically, categories the different transactions, cloud accounting that helps us in accessing transactions and more from anywhere and even on mobile. Overall, my company's accounting department is mostly dependent on it. "Easy to use, Great platform"
I have been using QBO for about a year now. We moved from QB desktop. I really like the recurring transactions feature. I like that I can set up all of my monthly recurring sales receipts for my clients and that QBO automatically charges their E-Checks for me. I also like that I can set up recurring bills and checks that draft from our bank account each month. I also love all of my report options. Occasionally there are bugs that stick around for a long time. It seems that some things are a very low priority. For example, for about 6-8 months last year, I (along with many others according to the QB online community) had a warning task on our Dashboard that alerted us that our 941 from the previous year had not been paid when in fact it had. This was a known error but QB took forever to fix the problem, even having a update in between and not fixing that. I also dislike that I can't undo a reconciliation. I have to reach out to my accountant and bother them to undo it. Desktop allowed us to undo them. I also dislike that E-Checks take 6-8 Business days to settle, where as desktop took 2-3 days. This can significanltly screw up our cash flow as we draft most of the payments for our customers via echecks. The only reason to stay with pro is that e-checks take a lot quicker to settle. Desktop takes 1-3 business days where as quickbooks online takes about 6-8 business days. We are solving the problem of running a small business. QBO allows us to pay our employees, track our expenses and sales. We use the projects feature quite often as we always have running open projects to track. We have also solved our problem of budgeting and sticking to a budget by department. "Excellent Service, Easy to Use, But Not Without Flaws"
We use QB Desktop Pro for EVERYTHING! Paychecks, Invoicing, Customer Sales, Human Resources. The user interface is very simple. We have everyone in the office using it, and love being able to customize who can see what, and who has authorizations to perform certain tasks. We have also gotten a ton of use out of the Desktop File Doctor and the QB Connection Diagnostic Tool. We recently replaced our main computer and it threw us for a loop the first few days. Using those two tools, however, we were able to get our systems back up and running. Our staff usually receives very limited training, making this the PERFECT system. It requires very little explanation, and can be picked up over the course of a day, and mastered in less than a month. Unless you take advantage of all of it's features, QB Desktop Pro can be somewhat clunky. I've read similar reviews that critique the ease of creating and sending invoices, and I agree. The default of utilizing Microsoft Exchange to send emails seems so outdated, and no matter which email program we select, there's still a 30% chance of it not working. If you plan to use it for all the aspects of your business, it's the only way to go. We have a centralized place for all of the most important aspects of our business. We utilize the reporting and ability to link email to client accounts almost every day. "Small Business Accounting Software: room for improvement"
I like the ability to import banking and credit card transactions, and the ability to track consulting hours to create invoices for my clients. I also like the ability to create report with my company logo, although the report editor needs improvement. I have used the software for almost 15 years. It used to the the "gold standard," but seems to have peaked several years ago. The software has become more and more difficult to use. Now that Intuit has new owners, the products and support are lacking. I just upgraded my software this week, and it took several tries to install the Windows version. I am disappointed that Intuit no longer supports a Mac desktop version. Understand your company's needs before selecting small business accounting software. If you sell products or services, or plan to pay employees, then make sure that the software you select meets all of your "must have" requirements. I use QuickBooks to manage my management consulting business. The software allows me to track consulting hours and expenses and create invoices for my customers. I can download bank and credit card transactions into QuickBooks and assign them to the proper projects and General Ledger accounts. At tax time, I create reports and give them to my accountant. "Quickbooks pro adds value to your small business"
Quickbooks Pro is a fast and easy way to maintain time records and can be customized to provide the information you want in a way that tells you what you need to know. It organizes my billing and serves as an independent log of my clients and information about them and their cases. Buy it. Figure out the huge number of things it can do. Learn to use it so you take advantage of all its benefits. I can input time and expenses throughout the day as I perform work. This saves a step and assures I am always up to date. The user community and install base is huge so most issues have been handled before and you can find solutions online pretty easily. Generating and sending invoices is more convoluted than it has any reason to be. There is no way to easily re-bill a set of invoices, you have to go into each one and select it. Sometimes when you create a new invoice for a client, it doesn't mark it as ready to print when saved, and there is no default settings to change this behavior. This has been a known issue for several years and Intuit doesn't seem to care about changing it. Reports are pretty good. The ability to drill down on a report is better than just about any other program I've used. You can click on almost any number on a report and get a sub-report of everything that comprises that number. Bank feeds cut off about half of the incoming transaction description from the bank (the rest gets put in memo field), extending the import would make creating rules a lot more useful. "Easy to learn easy to use"
I did not need training. Unlike peach tree or Sage as it is now called. So much a person can enter wrong. Quick books is basic and simple but any type of report customized to your requirements is easy to print or view. I cannot think of anything. I do not even have to buy a new copy of quickbooks every year as they continue to support and update my version that is a year old. If you are looking for a easy to use user friendly accounting software with the ability to run any kind of report and even sutomize it if the report is not showing enough or too much information. Can customize the title and heading of the report to conserve space and ink. the font can be adjusted as well to get more on one page. The ability to document all transactions and amounts for your entire business. From there, you are able to compile reports that make taxes easy to file, as well as identify business history. In addition, you have the option to make it as complicated or simple as you would like. If you want bill invoices, and collect fees through quickbooks, you can. If you want to do payroll through quickbooks, you can. You have options. First and foremost, I greatly dislike Quickbook's support. They have no idea how to solve some of the basic issues with their software. When I upgraded from 2015 to 2019, my quickbooks file did not convert and I must have spent 2 hours on the phone trying to figure it out with support with no solution. If I wanted more help, I had to pay for it. I had to recreate the entire thing from scratch. Other thing I don't like is the vendor editing. There are times when I want to change or delete vendors, but even if I remove all transactions with that vendor from the system, it only allows me to make that vendor inactive. Finally, it would be great if all the tax codes were pre-assigned rather than you having to choose them. As a new business owner, I did not know which codes work with which expenses, so there was definitely a learning curve. All my accounting and record keeping is done in quickbooks. I manage all bank accounts, as well as invoices to our clients through Desktop Pro. Quickbooks makes it easy to track expenses against a budget, keep up with payroll, or track down payments. It also ensures that you are always on top of things when it comes time to make tax withholding payments. It keeps all of your financial information and accounting records in one place. It's also helpful in tracking accruals of vacation time. Sometimes the search function isn't the easiest to work with. When trying to find a missing payment or a specific dollar amount, it sometimes doesn't seem to return all of the matching transactions. There is a little bit of a learning curve to start using Quickbooks. Quickbooks is the standard in accounting software, so I can't recommend this enough. Even if you aren't entering transactions on a daily basis, it's still helpful for an executive to be familiar enough to look up information so that you don't always have to rely on your accountant or bookkeeper to pull the information you need. The only drawback is that the one time we did need support, there were long waits on the phone and it was a little difficult to get our problem solved. Quickbooks gives us an easy way to keep track of personnel payroll, vacation accruals, tax information, and custom deductions. It makes it easy to make sure we are following all state and federal guidelines on withholding as well. This is in addition to all of the other business benefits of tracking checks, revenue, expenses, etc. "A must have for a small business"
Quick books is a robust software that enables me to handle business accounting in house with minimal effort. It takes some time to setup all accounts, inventory, etc. and once you figure out all your needs, its straight forward on most part. Allowing customers to pay invoices online with automation is a time saver. I dislike pricing policy. There is no upgrade price, you are always constrained to buy new version of software. No other software I use professionally is under such policy. Generation of K1 has numerous issues. I had to resort to custom excel worksheet to complete this. This remains unresolved for a number of years now. The support is extremely limited. If you need help, search forums for the answer - your best bet. If you want to keep your financials in house, then instead of the online version, get the Desktop. QuickBooks makes end of the year reports a breeze. It takes us no time at all to gather all of the necessary information. Payroll is simple and easy to handle once all set up. Its nice to have it all in one spot. Tracking payroll liabilities and such has taken so much work off of me and freed up a lot of my time. Paying for payroll as a separate entity is a bit disappointing but overall not that big of a deal. Setting up new payroll liabilities can be a little confusing if you are new to it. Its a breeze. Its so nice to have everything right in front of you and at your finger tips. There's a ton of reports to give you any information you might need. Payroll - its so simple, quick, and easy. It saves us time and money. We are a small business and do not want to pay for another company to process our payroll, but no one has time to spend hours processing it in house. QuickBooks handles it for us and it fast. "Can't Imagine Running a Business Without Quickbooks"
Quickbooks makes payroll, reports and taxes a breeze! Compare Year-to-Year with the click of a button, and easily see overdue invoices, upcoming bills, etc. Super easy to use even if you're not an accountant. I'm thinking of switching to cloud-based Quickbooks so that I can take my work with me more easily. The main thing stopping me from doing that is security concerns, which aren't a reflection on Intuit, just internet security in general. As the ED of a mid-size nonprofit, I wear a lot of hats. I'm good with numbers, but not an accountant. Quickbooks allows me to handle tasks that we would otherwise pay an accountant thousands of dollars a year to perform. monitoring payment to vendors has been made easy, preparing payrolls is also easy with QB. The best in accounting so far, reduced much paper work. "Great software for my small business finances!" I like the ease of adding customers, products, and the ability to have multiple accounts and keep everything straight. The reports are easy to find, and it has helped me streamline my business. I like that I can edit the invoices to have them mostly do what I want to do. The software does not pair well with email for Macs, and that has been really disappointing. Trying to email invoices regularly doesn't work. That is super frustrating. I've read multiple reviews and this has been an issue for a while. I wish the company would change it. There is not a way to save certain terms on every invoice. I need to re set it every time. From my understanding, it pairs better with windows than it does with mac. I'll keep using it, but I am sure hoping that they will bring it up to speed for my mac in the future. I can keep everything I need for customers and vendors in one place. My invoices look really good. I like that I can have one for my personal and one for my business and keep everything straight. I like that I can adapt my desktop to show what I need it to. There are many versatile features. "The accounting standard with challenges to customize for your business and ongoing data retreival"
Quickbooks is the standard and it does well to run reports and export them over various time periods and so on. Sharing information with others and working with others is easy because of its ubiquity and people's familiarity with it. Unfortunately, Quickbooks is not great for different types of businesses and industries. Working directly with the general ledger can take some time to get used to. Intuit has become less supportive of the desktop version as they want users to instead use the web for a subscription fee, though it is viewed by many as less robust. For those unfamiliar with the system, spending a significant amount of time to prepare for use or consultation with an accountant could be very helpful. Also expect to spend time with data reconciliation with various bank reconciliations and data imports and data entry that is based on external information such as those created in Excel. Producing basic financial reports is essential for any business. It lacks ratio analysis and integration with files like Excel to import and confirm information within the system. I use this product daily for multiple businesses and find that it is fairly user friendly. For the one company, running payroll is a breeze and never an issue. Logging AR and doing AP is pretty straightforward on this platform, which helps make invoicing and payments easier. Sometimes I struggle to find the appropriate report I need, the names of the reports can be misleading or do not end up giving me what I thought it was going to be. Also, if I need to make a change after I already put in payroll information (but haven't sent it yet) I am unable to do that. That is frustrating when you need to make a small change but it seems it won't allow you... unless I am not finding the function in which to do that. Another great product for small businesses. It really allows you to do everything in one spot and makes it fairly easy. I am getting our billing done easily and I can even email it out from QB. Tracking money and payments and bills is easy and effective and we can keep a close eye on our register. "One of the only real choices for small businesses for their accounting"
The main reason I stay with the Desktop Pro version of QuickBooks is because not all of the features I use are available in the online version. So, I will likely continue to use Desktop Pro or Premier until all the features in the desktop software make it to the online version. For small business, there are not many choices and QuickBooks has been around a long time and does what a small business needs. For that reason, I do recommend QuickBooks to my clients. I am in the IT business and support many small businesses. Most if not all of them use QuickBooks. - mostly because that is what I recommended they use. Networking can still use a lot of improvement. Network access can be slow at times and frequently gets mucked up. This is one area that Intuit has struggled and the need for networking of QB data is a must. For small business, this is the right choice. Invoicing and cash flow are the two main benefits to my company. "QB in the Construction Business"
I like that the account has multi-user functionality. I can upload and update from the admin account and have it translate to each account. This allows for the most accurate and efficient communication internally, which in turn allows for the business to flow at optimum capacity. I like that QB has a Purchasing Order system, payroll and reimbursements, and also it helps to keep track of each vendor and the budget that needs to be adhered to for each project and scope of work. It itemizes and organizes all of the important information that was once recorded by hand, so now it is easy to access, and analyze. Sometimes the system has multiple accounts that get generated, which can pose an issue for the employees that are not on the same system. This makes it hard to keep track of purchases and budgets, which then means we have to back track and find where the overlap occurred. Also, the updates prompt users at varying times, which means that it is possible for our users to be operating under different updates. DO IT. Quickbooks is a lifesaver, and I find that most companies use this as a tool, each and every day. If you have the opportunity to check it out, I highly recommend you do so. If it turns out that it is not the best tool for your business at the time, I can almost bet that you will come across QB again in the future so really there is little risk and potential for huge benefits. The pricing is worth it, don't be shyed away! We keep track of the budget, of vendors, of payroll, finances, purchasing orders, and much more with this system. It is pretty much all encompassing, and is a lifesaver more often than not! "Small Business Industry Standard - Now a Money eater "
This is a well developed mature accounting software, with a minimal amount of learning curve. You will find that it can do anything in the world of finance world for small business. I have learned how to use Quickbooks since I was in college and since then they have just added a bunch of bells and whistles. There are no real Choices when looking for other software to use. It is a good software, they used to put out a new program every few years or so but now they have fell into the pattern of putting out needless yearly updates to make you pay more. Also I would say that you should go with the desktop version because at the very least you own your own data. If you go with the cloud version... they have/own your data. We use QB as our accounting suite. this is the recording of financial transactions for internal and external reporting. quickbooks desktop pro is simple to use very explanitory. easy to search for things. i get to keep all my contacts together and keep track of business and customers and money and employees. Helps with making payments alot easier, keeping track of money coming in and out of business. able to keep track of everything in my company. send out invoices, sales orders, work orders, quotes and print out packing slips and ship packages. my quick book keeps having issues sending emails for some reason. they wont receive the emails and if they do it used to say the email you wrote in to send from but now it says Reply to inuit quick books or something like that. its really annoying all though i am sure there is a simple solution to fix it but i cant figure it out and it is super annoying. the emails wont always send to certain people for some reason. and it can be difficult to communicate with customers when that happens it also is sometimes extremely slow on my computer. it helps me keep track of customers and money and etc. the benefits of quick books desktop pro are tracking customers jobs and money coming in and out of the company. keeping track of when jobs are going out and shipping packages everyday, there are so many benefits from quick books desktop pro. "QB is the best for small business"
I have been using QuickBooks for over 3 years and it is hands down the best all in solution for businesses. You can run reports, send invoices and ship all from the same platform. It truly is an all in one solution. The only thing that I dislike is that I cant always run the report that I need. I have to sometimes run 2 or 3 reports to get all the info needed. We are solving accounting, Operations, Sales and integrated retail solution all in one platform. Its very useful to have all in one place. * We monitor all QuickBooks Desktop Pro reviews to prevent fraudulent reviews and keep review quality high. We do not post reviews by company employees or direct competitors. Validated reviews require the user to submit a screenshot of the product containing their user ID, in order to verify a user is an actual user of the product.